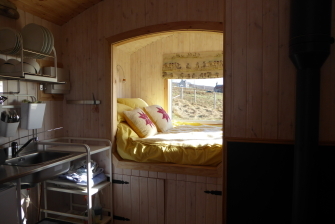 This cosy Shepherds Hut with fabulous sea views sleeps two in a double bed. 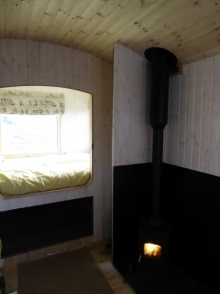 There is a small kitchenette where you can cook a simple meal, a log burning stove for heating and a shower and toilet room. 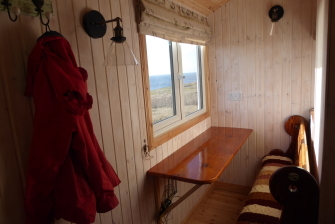 The small dining alcove has a view out across the croft to the sea and over to Harris and all this in the compact space of a Shepherd's hut! 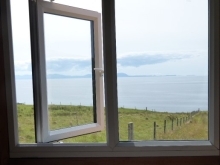 Lie in bed and look at this view with Skye on the horizon! 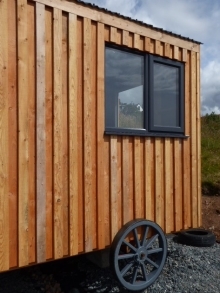 For one nights stays or more this is a real get away in unique and comfortable accommodation - luxury Glamping! 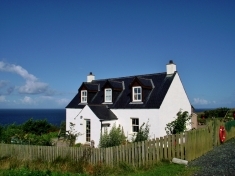 Breakfast can be provided at Fionncroft Cottage during the summer months at an additional cost of £8pp but must be booked the night before. 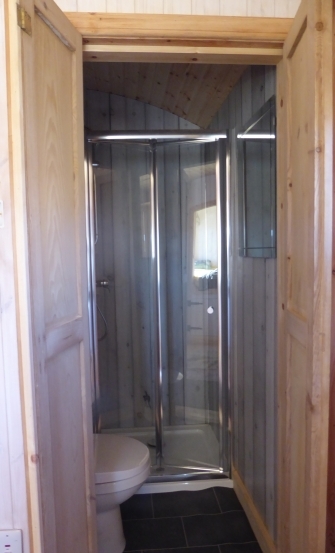 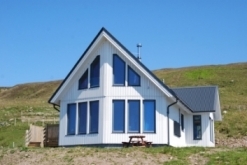 All linen, towels, electricity and fuel for the stove included in the price. 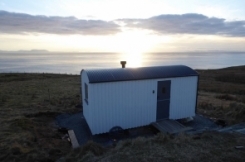 The kitchen has a fridge, microwave cooker and induction hob as well as the utensils, pans etc for making a simple meal. 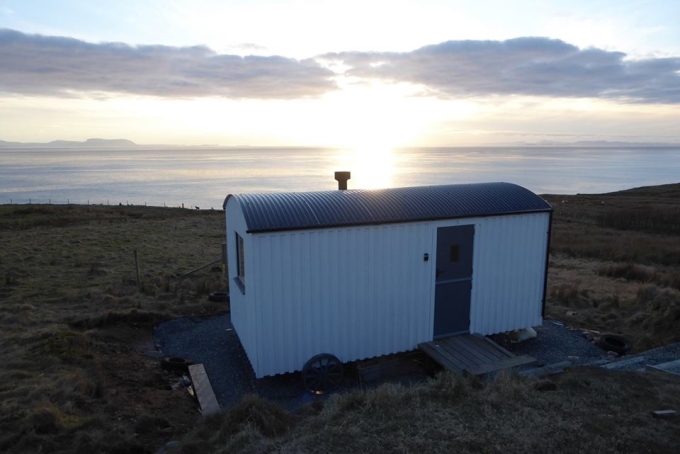 The hut has been furnished with love - an old church pew from nearby Aultbea Church provides the dining seating, window shutters from nearby Rubha Reidh Lighthouse are used as the doors to the shower room and cushions are hand knit from local yarn. 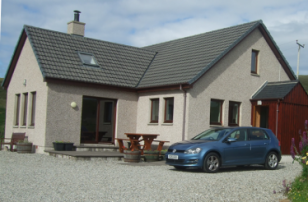 A great place for a nights stay or better still a few nights and take advantage of our generous multi night discounts.